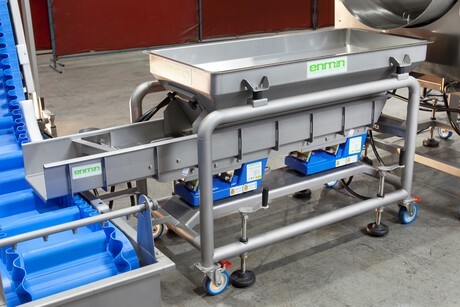 The compact Enmin Electromagnetic Hopper Feeder is engineered to optimise the user’s food production processes. This robust, yet compact unit holds bulk dry food products and ingredients and is designed to consistently deliver the product at a metered rate. The hopper feeder is suitable for a variety of food production facility needs. 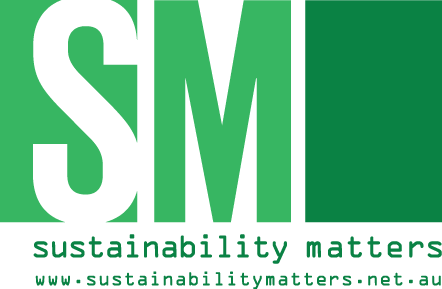 Designed for mobility and to take up minimal floor space, it can be used as a standalone unit or as part of an integrated-modular turnkey system. 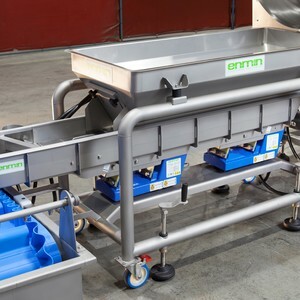 The hopper feeder significantly reduces manual handling and food wastage by hygienically storing and accurately delivering product to a secondary process. 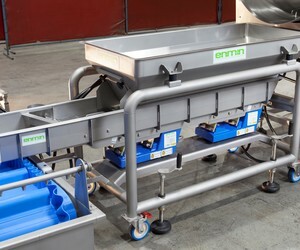 Designed in Australia, the company’s Electromagnetic Hopper Feeder range can be customised to meet the user’s specifications, requires minimal maintenance and is built to withstand the demands of food production and handling. I am interested in Enmin Electromagnetic Hopper Feeder .